An applicant’s claim for unemployment benefits will be examined by a deputy of the Department of Labor, Unemployment Division. The deputy will review the facts in connection with the claim for unemployment benefits, including the applicant, documents submitted and a telephone hearing with the applicant and the previous employer. The deputy may request further information from the applicant or the employer prior to making the determination as to whether the applicant qualifies for New Jersey unemployment benefits. Information that an employer may need to provide the deputy can include the reasons other than lack of work for the separation, whether the applicant is receiving a company pension or wages after their last day of work and whether the separation of employment is temporary and has a definite date of recall. 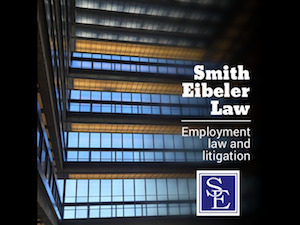 If the employer fails to respond to an information request of the deputy, the employer will be prohibited from appealing the initial determination or other subsequent appeals. An applicant has the right to appeal the initial determination of the deputy to the Appeal Tribunal of the New Jersey Department of Labor. The applicant must file his or appeal to the Appeal Tribunal within seven calendar days after delivery of the deputy’s initial determination or within ten calendar days after the mailing of the deputy’s initial determination. The appeal period can be extended if the applicant shows good cause for the late unemployment appeal. Good cause includes the situation where the applicant shows that the delay was due to circumstances beyond his or her contract and which could not have been reasonably foreseen or prevented. After the Appeal Tribunal receives notification of the appeal, an Appeal Tribunal will then schedule a hearing, usually telephonically. All parties, witnesses, representatives and attorneys will then participate by providing sworn testimony on the day of the hearing. A claims examiner will then make a decision based on the evidence presented at the hearing and based upon New Jersey unemployment laws. If the applicant loses the appeal, he or she may then appeal the decision to disqualify them from receiving unemployment benefits to the Board of Review. The Board of Review may affirm, remand, modify or set aside the decision of the Appeal Tribunal on the basis of previously admitted or additional evidence or misapplication of New Jersey unemployment law. The decision of the Board of Review is appealable to the New Jersey Appellate Division and then to the New Jersey Supreme Court.